Happy Halloween everyone! Today we have a special Halloween edition of the Bum Wine Of The Week! As a special Halloween treat for all of you, we are going to change things up a bit from the norm, and I am giving you all the first ever Bum Wine Concoction Of The Week! With today being Halloween, there will be a fair share of partying going on for everyone this weekend, so I hope that you have all your bum wine bought and stocked up ahead of time so you are ready to go! What's on tap for this weekend? Check it out! 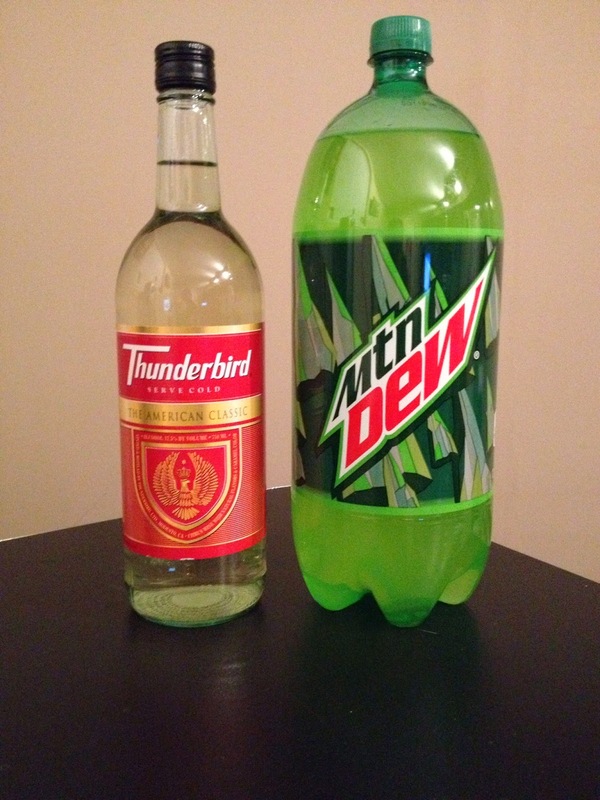 What do you get when you mix 1 part Thunderbird Wine and 2 parts Mountain Dew? Thunder Dew! 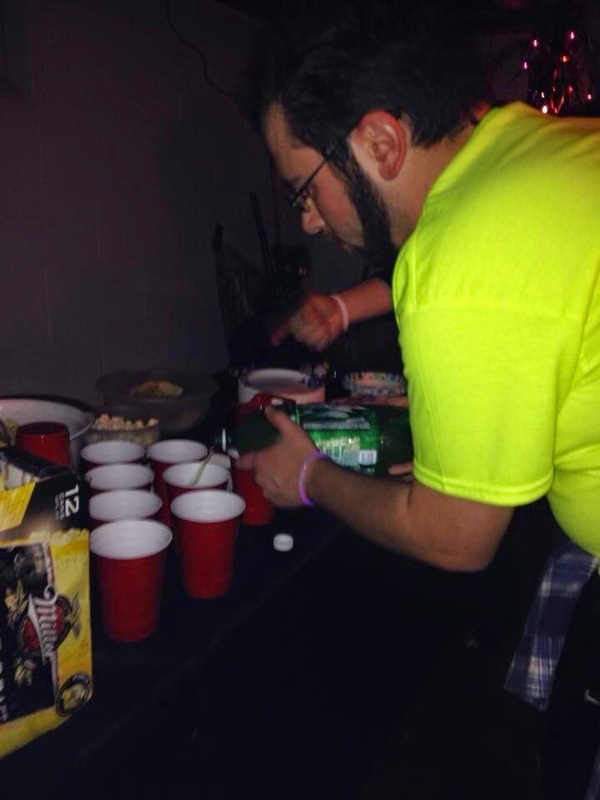 Mixing up some Thunder Dew at last years Halloween party. I first came across the notion of Thunder Dew back in August of 2013. I still had a bottle of Thunderbird left over from my Bum Wine Birthday Bash a few weeks prior, and I wanted to do something different with it instead of just drinking it straight up from the bottle. I started to do some searching for something that I felt would mix well with the bird, and that's when I came across a can of Mountain Dew. I figured, why not? I poured some Thunderbird in a red solo cup to the bottom fill line, and then opened the can of Mountain Dew and filled the cup to the top line, and made sure to gave it a good stirring to get the bird flowing throughout the beverage. Once that was complete, I took the first sip, and it was delicious! From there I had to spread the good word to everyone else that was present and have them give it a try for themselves. Even the people that were skeptical about the whole concoction gave it a taste and were quite impressed with the outcome. People that had tasted bum wine before and were not very happy about it had changed their views this time around. Two thumbs up! Introducing Thunder Dew to the people of MD. 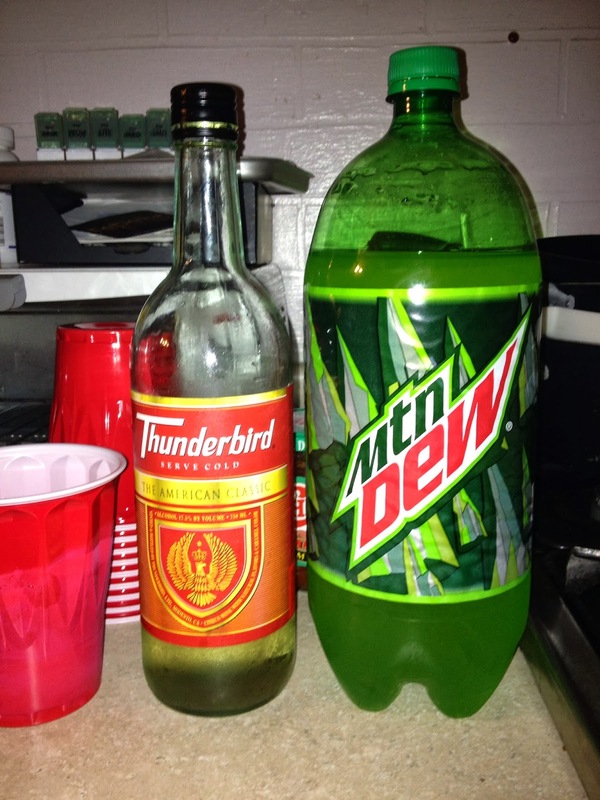 Since that first day, Thunder Dew has been a necessary commodity at every party. It doesn't matter the occasion; birthdays, holidays, bachelor parties, no gathering is too small! 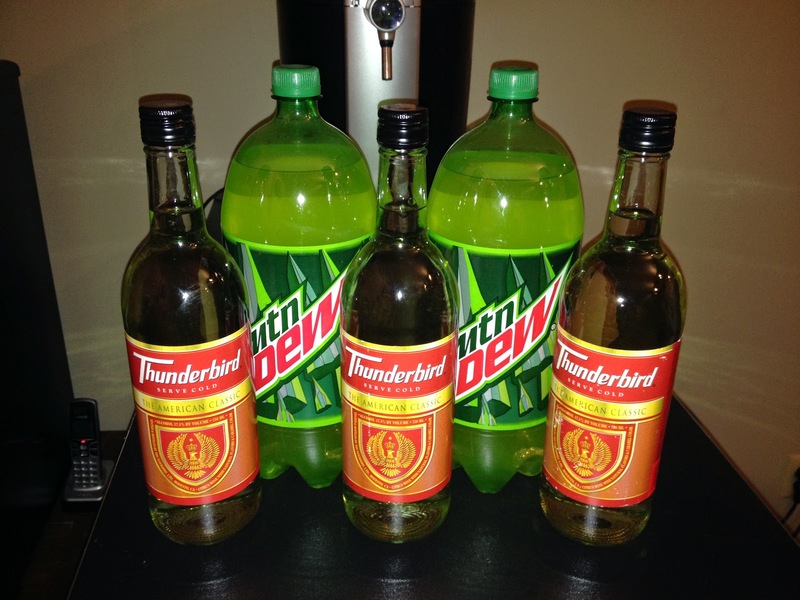 Thunder Dew is the essential party beverage at every occasion. I went on a Thunderbird search in the state of Maryland just to be able to make this fine concoction for the residents of the state. It took some long and hard searching, but I was able to find it for them to enjoy. 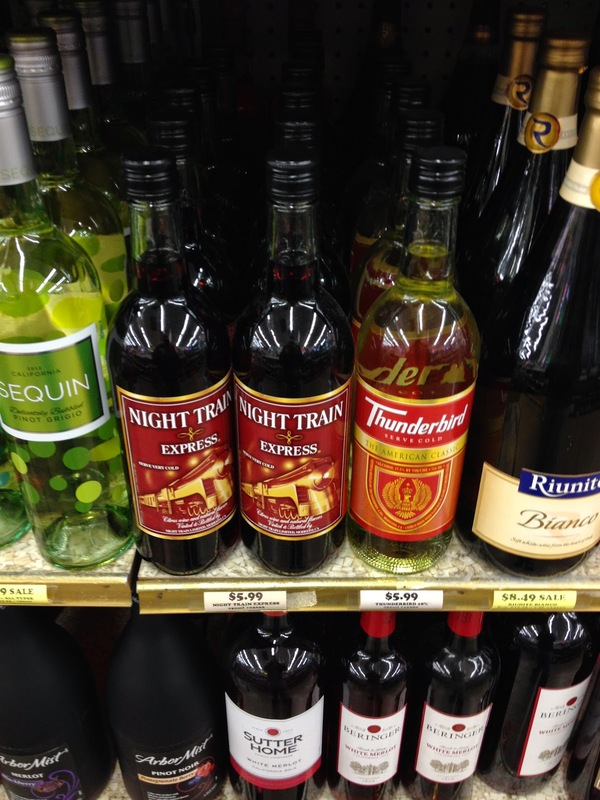 Tell all your friends all about the "dirty bird", as my friend at the liquor store in Maryland called it. Stocked up for Halloween 2014! Thunder Dew is a good pick me up drink to have if you have been partying all night and are feeling tired, but don't want the party to end quite yet. Just pour yourself a nice cup of Thunder Dew and you will be in it for the long haul! And always be sure to remember: What's the word? Thunderbird!